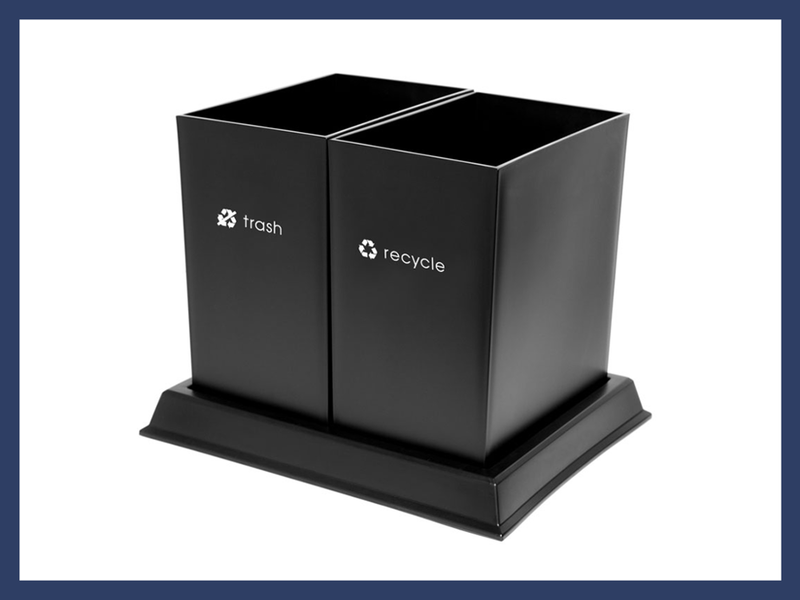 Manage your environmental initiatives with ease. 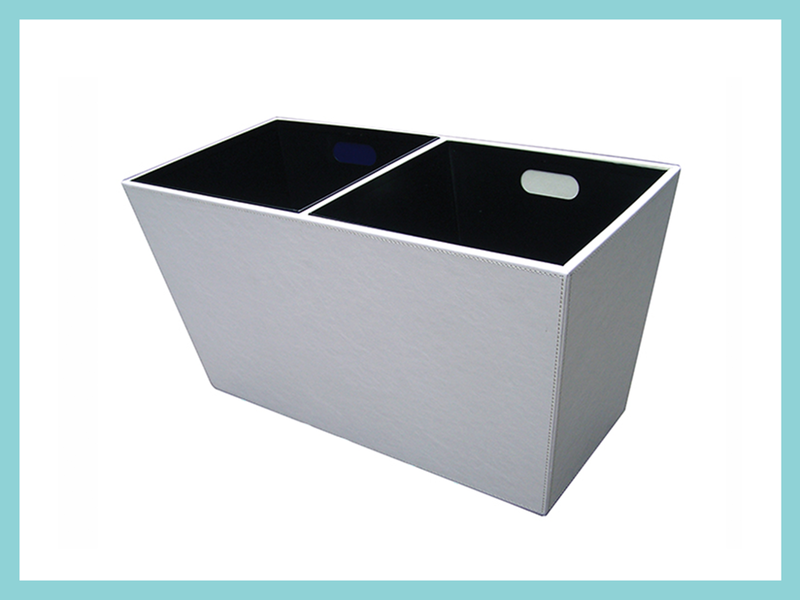 Recycle bins are available in several sizes, styles, colors, materials and textures. Choose from a variety of imprinted messages and custom logo's. We offer smaller, boutique sized, which fits neatly under a desk, while still maintaining functionality.